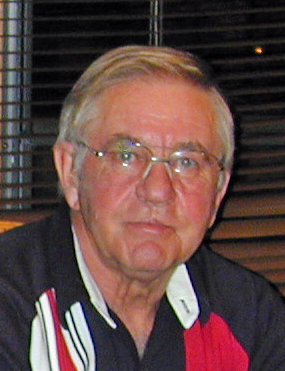 Albert Aanderud, 82, of Beulah, passed away March 29, 2019 at the Knife River Care Center, Beulah, ND. Services will be held at 10:00 AM CDT Tuesday, April 2, 2019 at Zion Lutheran Church, Beulah with Pastor Mary Lou Aune officiating. Burial will follow at the Beulah City Cemetery. Visitation will be held on Monday, April 1, 2019 from 5:00 to 7:00 PM at Barbot Funeral Home, Beulah. Albert was born on June 23, 1936 to Beltram and Hulda (Mindt) Aanderud. He was raised and educated in Beulah. He married Adeline (Rahn) on April 10, 1959, and they were blessed with two sons, Wade and Mark. Albert worked at the Knife River Coal Mine for 39 years, retiring in 1998. He enjoyed working there with his co-workers, and eventually became a dragline operator. He was also a representative of the Genie-Watt Credit Union for 21 years. He also served 24 years on Beulah’s City Council. He was most proud of his part in rebuilding the water treatment plant and Beulah’s beautification projects. Among his fondest memories were those spent with his wife at their lake cabin at Beulah Bay with family and friends. He loved fishing, playing cards, and telling stories around late night campfires. Albert had a great sense of humor, and will be dearly missed by those who loved him. Albert is survived by his wife, Adeline; two sons, Wade (Barb) of Beulah and Mark (Pam Rivers) of Malone, NY; one sister, Janet (Orville) Miller of Temecula, CA; two sisters-in-law, Mardella and Leeta Aanderud, both of Beulah; one brother-in-law, Bill Misslin of Beulah; eight grandchildren, Brittney (Shawn) McLaughlin of Glen Ullin, Brandon Aanderud (fiancé, Hayley) of Fort Meyers, FL, and Allison Aanderud of Malone, NY, Nate Martens of Denver, CO, Dana (Amanda) Martens of Dilworth, MN, Mikayla (Marcus) Atchison of Bismarck, Stephanie (Johnny) Reyes of Clearwater, FL, and Joseph (Ashley) Rivers of Malone, NY; 10 great-grandchildren, and many nieces and nephews. Albert was preceded in death by his parents; his brothers, Donald, Richard, and James; two sisters, Glenda Misslin, and Margaret Kuch; and one brother-in-law, Donald Kuch. Arrangements will be conducted by Barbot Funeral Home in Beulah.